Congratulations runners! See your results here! Run the luckiest 5K of the year! And remember to wear green (or run really fast!) so you don’t get pinched! Registration closes at 11:59pm on Friday, March 15. Limited race day registration is available on a first-come first-served basis. All participants will receive a Lucky Charm finisher medal and unisex t-shirt. Join in the fun after the race with food, drink, music and more for the whole family! Bagpipes and Irish dancers will be entertaining you at the party! 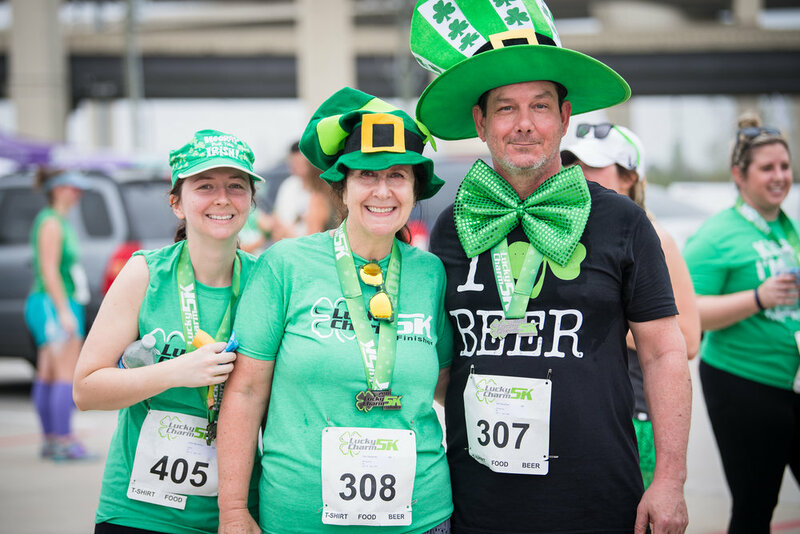 5K finishers (21 and up) also receive 2 free green beers from Mo’s Irish Pub! Packets can be picked up for other runners. If you are picking up for a team, please email us ahead of time at support@raceassist.com and include a list of your team members. We will arrange to have packets ready for your team pick up. The 5K course starts at finishes at Mo’s Irish Pub and is flat and fast.